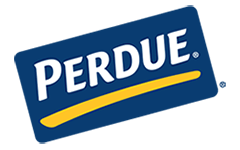 COLUMBIA – Perdue Farms announced it has completed a $25 million expansion at its harvest operation in Dillon County, creating 100 additional jobs. The company produces a variety of no-antibiotics-ever chicken products for retail and food service customers. Located at 2047 Highway 9 West in Dillon, Perdue Farms expanded its portioning and marinating operations, added a state-of-the-art shipping cooler, installed an automated pallet storage system and constructed office space to occupy more than 28,000 square feet at the existing facility. “The expansion will help us meet the growing demand for no-antibiotics-ever chicken products, and maintain the high level of customer service and reliability our customers in South Carolina and across the country expect from Perdue. We’re proud to add to the economic growth here in the Pee Dee region, and we’re grateful to Gov. McMaster, Commerce Secretary Bobby Hitt and Dillon County for their support and leadership,” said Perdue Farms CEO Randy Day. Since 1992, Perdue Farms has created more than 1,200 jobs in the Pee Dee region. A hatchery and live production office, in Dillon, S.C., provides support to more than 95 farmers who supply Perdue Farms and more than 100 farmers who supply grains to Perdue Farms. “For many years, Perdue Farms has shown their commitment to Dillon County, not only as one of our largest employers, but as an all-around community partner. The expansion of their facility and the addition of 100 jobs means that Dillon County looks forward to working with Perdue Farms for many years to come,” said Dillon County Administrator Tony Clyburn. “Perdue Farms’ decision to continue investing in South Carolina and our people shows that companies find the resources they need to be successful here. Every one of these jobs will have an impact on Dillon County, and we thank this great company for their ongoing commitment to our state,” said Gov. Henry McMaster. “South Carolina has a long history in agribusiness, and it’s one of our key wealth-creating industries. Today’s announcement is another indication that sector is thriving. We’re excited to congratulate Perdue Farms on this latest expansion, and we look forward to seeing the impact these new jobs will have on the region,” said Secretary of Commerce Bobby Hitt. Look for more on this announcement in Thursday’s issue. Perdue Farms is a fourth-generation, family owned, U.S. food and agriculture company. Through our belief in responsible food and agriculture, we are empowering consumers, customers and farmers through trusted choices in products and services. The PERDUE® brand is the number-one brand of fresh chicken in the U.S., and the company is the leader in organic chicken in the U.S., and Perdue AgriBusiness is an international agricultural products and services company. As we approach our 100th anniversary in 2020, our path forward is about getting better, not just bigger. They never use drugs for growth promotion in raising poultry and livestock, and we are actively advancing our animal welfare programs. Our brands are leaders in no-antibiotics-ever chicken, turkey and pork, and in USDA-certified organic chicken. Learn more at www.perduefarms. com. As South Carolina’s leading economic development agency, the Department of Commerce works to recruit new businesses and help existing business grow. S.C. Commerce has recruited world-class companies to South Carolina such as BMW, Boeing, Continental, Giti Tire, LPL Financial Holdings, Mercedes-Benz Vans, Samsung, Toray and Volvo Cars. It also supports startups, small and existing business, innovation and rural development initiatives. S.C. Commerce partners with the S.C. Technical College System via readySC to support workforce training and recruiting, and with the S.C. Department of Employment and Workforce, which provides worker training and employment opportunities within the state. With a strong international footprint, the Palmetto State ranked No. 1 in the nation for attracting jobs through foreign investment on a per capita basis in 2018 – extending its streak of top three finishes since 2011. Additionally, in five of seven years, the state has won the Gold Shovel Award from Area Development magazine; and, in 2017, the state was recognized as Business Facilities’ State of the Year. For more information, visit www.SCcommerce.com.